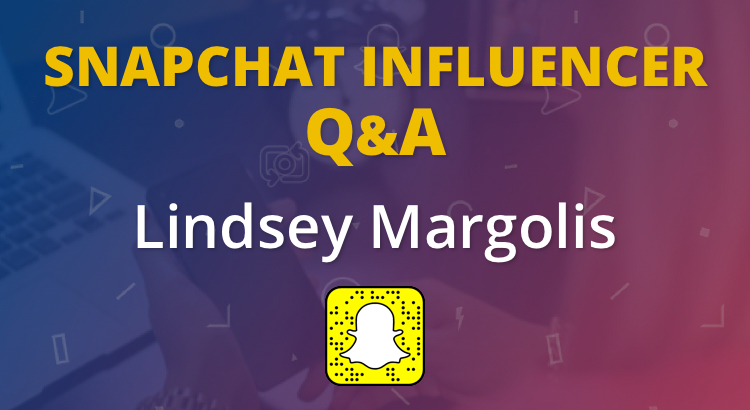 Today we are talking Lindsey Margolis who is a social media influencer primarily using Snapchat and Instagram. Hi Lindsey, great to meet you. Thanks for taking the time to share your knowledge with us. Could you tell us a bit about yourself and what you do? Hello! Well, I am a social media influencer in that, aside from promoting brands and businesses in the Internet world, I want to make an impact on someone’s life through Snapchat and Instagram storytelling and engagement. What do you Snap about mostly? Since I’m known as a Snapchat artist, I like to throw some doodles in my stories as well. I just want to make people laugh! Great content; entertain your audience. Tell a story and be relatable. These are real, live people you are talking to. The term “engagement” is a word that is frequently overused so it seems to have lost some meaning. Engagement, quite literally, is taking advantage of the fact that Snapchat allows real-life human connections. Respond to your followers; let them be involved in your stories. If you are a bigger company who needs to reach a large audience, connect with Snapchat influencers. They have the knowledge and creativity to boost your brand as a whole. That’s what we are here for. 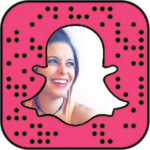 What have you found hard about growing your Snapchat audience? The most difficult thing when growing an audience is connecting with the right people. When people buy shoutouts and followers, they miss the object of the game. The goal is not to GAIN a following, the goal is to KEEP one. When people buy shoutouts and followers, they miss the object of the game. The goal is not to GAIN a following, the goal is to KEEP one. The goal is not to GAIN a following, the goal is to KEEP one. The only way to succeed on Snapchat is to physically be on the platform and learn through experience. You are going to start out with a small audience because, that’s how everyone starts out. So what? Talk to those few people and stop worrying about your view count right off the bat. And again, the people you want to pitch your product to are the influencers that will help you sell it. Invest in an influencer. My personal brand is what launched my Snapchat career, so it’s only been a positive thing so far. Have you experimented with geofilters? Absolutely! I’m not a vlogger per say, but if by experimented you mean use them, then yes! I also design them as well for small businesses. My absolute favorite Snapchatter is Tristan Ciaran (known as Tristantales on Snapchat). It’s not just that he’s funny, it’s that his creativity blows my mind. He knows his target audience and legitimately makes me laugh out loud. Tristan is the one who taught me that a story needs to have a beginning, middle, and an end. Tristan is the one who taught me that a story needs to have a beginning, middle, and an end. Other: lurking around my local Starbucks, probably. Yes. Snapchat is all about good content. Stop being afraid of disappearing stories, and start acknowledging your followers as human beings because that’s what they are. Real growth comes with time and, for small businesses, be everywhere, not just Snapchat. And be yourself!